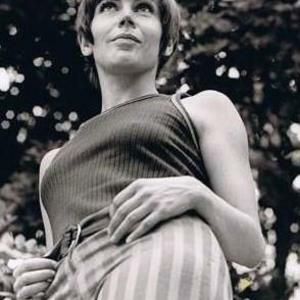 Helen Reddy (born October 25, 1941 in Melbourne, Australia) is an Australian pop singer and actor. Reddy was immensely successful as a singer in the 1970s with numerous hit records including three U.S. #1 singles. She has sold more than 15 million albums and 10 million singles, and was the first Australian-born performer to win a Grammy award. In 1974, she became a naturalized citizen of the United States, but currently lives near Sydney, Australia. Reddy was immensely successful as a singer in the 1970s with numerous hit records including three U.S. #1 singles. She has sold more than 15 million albums and 10 million singles, and was the first Australian-born performer to win a Grammy award. In 1974, she became a naturalized citizen of the United States, but currently lives near Sydney, Australia. She has won a Grammy Award, appeared on Broadway and feature films, and was credited with writing and singing one of the most iconic and culturally significant songs of the 1970s, "I Am Woman". Reddy became one of the world's most successful female singers of the 1970s music scene, scoring many certified gold hit records, including three #1 singles and fifteen Top 40 pop singles on Billboard Hot 100 singles chart and has sold more than 15 million albums and 10 million singles domestically and 25 million albums worldwide. She also became the first Australian to have a #1 single in the United States, win a Grammy Award, and host her own variety show on United States television. Born and raised in Australia, Reddy became a naturalized United States citizen in 1974. In 2002, she retired from performing concerts and recording and now resides in Sydney, Australia and was inducted into the Australian Recording Industry Association (ARIA) Hall of Fame in 2006. Reddy was born into a well-known Australian show business family in Melbourne, Victoria. Her mother, Stella (n?e Lamond), was an actress, and her father, Max Reddy, was a writer, producer, and actor. Her parents performed on the Australian vaudeville circuit. Reddy began performing on stage with her parents at just four years of age. In her late teens, after being briefly married to an older musician, she had a daughter, Traci. In 1968, Helen married longtime friend and soon-to-be producer and manager Jeffrey Wald and in 1974 her then-preteen daughter would record the bookend sequences for another of her mother's top-10 hits titled "You and Me Against the World." The Love Song for Jeffrey album, on which the song appeared, was dedicated to her then-husband, with whom she had a son, Jordan. They divorced in 1983. After beginning her career in radio and television in Australia, she won a talent contest on the Australian pop music TV show Bandstand, which enabled her to move to the United States in 1966. Settling initially in New York, she met Jeff Wald, then an agent with the William Morris Agency; after living together for only four days, she and Wald married; he subsequently became her manager. After a stint in Chicago, the family moved to Los Angeles, California, where Reddy tried to establish herself as a recording artist. Twenty-seven labels rejected her before she was finally signed to a contract with Capitol Records in 1970. After years of trying to get her name out, Helen Reddy's first Top 40 U.S. hit (1971) was a cover of "I Don't Know How To Love Him" (from the first Rice & Webber collaboration Jesus Christ Superstar rock opera). After it reached #13 in mid-1971, the music industry and record buying public began to take notice. In 1972, Reddy co-wrote, with Australian musician Ray Burton, the song "I Am Woman," which became a worldwide feminist anthem, worldwide hit, and her first U.S #1 hit on the Billboard Hot 100 singles chart. Reddy has attributed the impetus for writing "I Am Woman" and her early awareness of the women's movement to expatriate Australian rock critic and pioneer feminist Lillian Roxon. Reddy is quoted in Fred Bronson's The Billboard Book of Number One Hits as saying that she was looking for songs to record which reflected the positive self-image she had gained from joining the women's movement, but couldn't find any, so "I realized that the song I was looking for didn't exist, and I was going to have to write it myself." The single actually barely dented the charts on its initial release in the summer of 1972, but it wasn't long before female listeners adopted the song as an anthem and began requesting it from their local radio stations in droves, spurring it on to re-enter the charts in September and become a hit. "I Am Woman" earned a Grammy Award for Female Pop Vocal Performance and at the awards ceremony she concluded her acceptance speech by famously thanking God "because She makes everything possible". Over the next five years, she had more than a dozen other U.S. Top 40 hits including two more #1 hits. These included the Alex Harvey country ballad "Delta Dawn" (#1, 1973), "Leave Me Alone (Ruby Red Dress)" (#3), "Keep on Singing" (#15, 1974), "You and Me Against the World" (written by Paul Williams and featuring daughter Traci reciting the spoken bookends) (#9), "Emotion" (an English version of the French tune "Amoureuse"), "Peaceful" (#12), "Angie Baby" (#1), "Ain't No Way To Treat A Lady" (#8, 1975), Richard Kerr-Will Jennings-penned "Somewhere in the Night" (#19; later a bigger hit for Barry Manilow), and the Carole King-Gerry Goffin song "I Can't Hear You No More" (1976). Her last Top 20 record was a 1977 revival of Cilla Black's 1964 hit "You're My World", co-produced by Kim Fowley. Reddy's final chart record was "I Can't Say Goodbye To You" in 1981. She was most successful on the Adult Contemporary charts, scoring eight #1 hits there over a three-year span, from "Delta Dawn" to "I Can't Hear You No More." At the height of her fame in the late 1970s, Helen Reddy was a headliner, with a full chorus of backup singers and dancers to standing-room-only crowds on The Strip in Las Vegas. Reddy's opening acts were the then-up-and-coming Barry Manilow, and Joan Rivers. In 1976, Reddy covered the Beatles song "Fool on the Hill" for the musical documentary All This and World War II. Reddy was also instrumental in furthering the career of Olivia Newton-John as she encouraged her friend to move from Britain to the United States in the early 1970s. At a subsequent party at Reddy's house after a chance meeting with Allan Carr, the film's producer, Newton-John won the starring role in the hit film version of the musical Grease as result. Reddy has lent her acting and singing talents to many stage, movie and television productions. Her film career includes roles in Airport 1975 and Walt Disney's Pete's Dragon (in which she sang "Candle on the Water," which has become one of her best-known songs despite only charting on the A/C charts). For her part in Airport 1975, Roddy was nominated for a Golden Globe for Most Promising Newcomer - Female. Reddy appeared as a guest on numerous television specials and variety shows, and a guest star on episodes of numerous television series, including Love Boat, Fantasy Island, BeastMaster and others. Reddy was a host and performer, between 1973 and 1975, on some episodes of the late-night variety television show The Midnight Special. She also hosted her own variety television program, The Helen Reddy Show, in the summer of 1973. In 2007, Reddy had a voice cameo as herself in the Family Guy television show's Star Wars parody "Blue Harvest". She played a 'red' themed ('Red'-dy) member of the Red Squadron alongside Red Five (Chris Griffin), Red Buttons, Redd Foxx, Big Red, Red October, Simply Red and others. Reddy's stage credits include performances in Anything Goes, Call Me Madam, The Mystery of Edwin Drood, and works by British playwright Willy Russell. Reddy appeared both on Broadway and in the West End of London in the musical Blood Brothers, and in four productions of Shirley Valentine. Active in community affairs, Reddy served as the state of California's Parks and Recreation commissioner for three years. In 2002, she retired from performing and moved from Santa Monica, California, to Norfolk Island. Reddy published an autobiography, The Woman I Am, and appeared on the Today show in 2006. She was also added to the ARIA Hall Of Fame, with a tribute performance by Vanessa Amorosi of "I Am Woman" at the ceremony. Reddy suffers from Addison's disease, a failure of the adrenal glands, which requires constant treatment. Helen Reddy has retired from performing concerts around the world, and is now a practising Clinical Hypnotherapist based in Sydney and is Patron of the Australian Society of Clinical Hypnotherapists.